Eric Dop turns aside a shot. 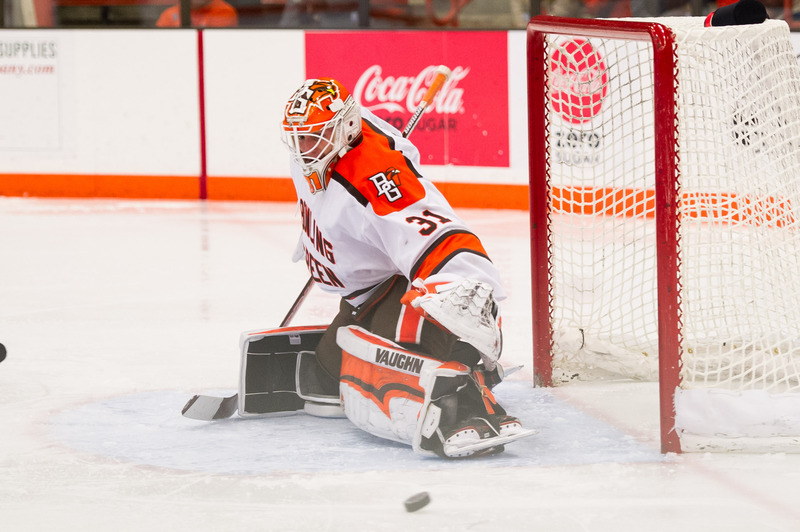 Dop picked up his second shutout of the season and career Saturday against Alaska (Photo by Todd Pavlack/BGSUHockey.com). Fairbanks, AK – Offense was again at a premium for the 9th-ranked Falcons Saturday. But, two goals is all they needed in a 2-0 shutout win over the Alaska Nanooks. Eric Dop stopped all 31 shots faced for the Falcons. Anton Martinsson saved 32 of 33 chances for the Nanooks. 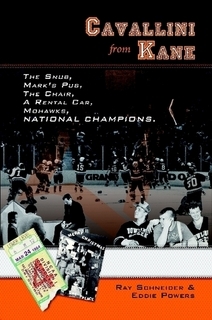 The Falcons opened the game’s scoring at 2:56 of the first period. Brandon Kruse found Max Johnson who was parked just inside the far faceoff circle. He buried a one-time shot for his 10th goal of the season. The goal was also assisted by Connor McDonald. Bowling Green finished the period with 14 shots on net while Alaska had ten chances. Both teams had power-play opportunities in the middle frame, but neither team found the net in the second period. Bowling Green challenged Martinsson with 11 shots and held Alaska to just five offensive chances. The Nanooks pulled Martinsson for an extra attacker in the waning moments of the game, but an empty net goal by Brandon Kruse sealed the 2-0 win for the Falcons. Alaska pushed back in the third period, racking up 16 shots. Bowling Green had nine chances in the final frame. With the win, Bowling Green improves to 16-6-3, 11-5-2-2 on the season. Alaska falls to 6-16-2, 6-11-1-1. The Falcons head home next weekend to welcome Ferris State.